Bal's Kitchen is the creation of Balwinder Kapila, an avid home cook, recipe book writer and proud Punjabi. Having grown up as a first-generation Indian in the UK, food and family were the foundation of a childhood full of memories of simple Indian cooking. 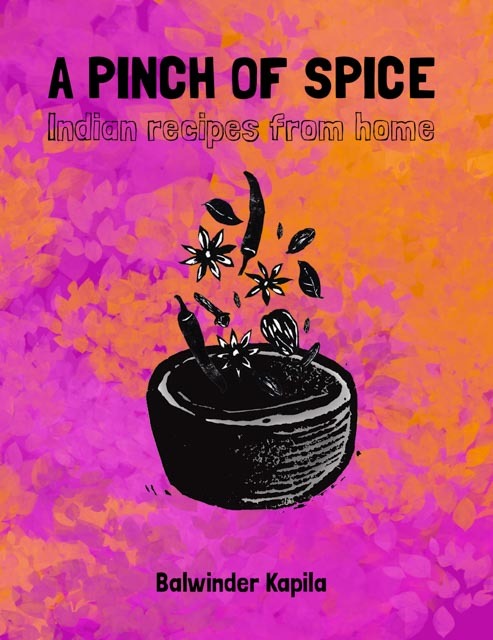 Bal's first book, "A Pinch of Spice" aims to recreate those memories in over 90 authentic recipes. Take a look here to find out more about the book. Balwinder Kapila grew up in Hounslow, Middlesex. When she was only nine years old, she decided one day to prepare a surprise dinner of aloo gobi for when her mum returned from her shift at Heathrow. From then on, Balwinder went on to learn and master the secrets of her mother’s cooking. As she gained in knowledge, she became more confident in sharing her authentic Punjabi recipes and ingredients, as well as her inventive fusion dishes, incorporating influences from other parts of India and elsewhere. Balwinder lives in Berkshire, not far from Reading; when she’s not cooking and entertaining for family and friends, she loves to swim, cycle and take care of her garden. ‘A Pinch of Spice’ is her first book: a celebration of food, family and friendship. Want to know more about Bal’s Kitchen? Got a collaboration idea? Maybe you want to see a particular recipe on this site? Let us know below.